Consolidated economic structures are a breeding ground for extreme competitive pressure. Declining prices and shrinking margins create additional factors which continually increase the demand for subtlety of sales processes and workflows. on the one hand, the sales organisation must be designed in such a way to minimise expenditure and maximise revenue; on the other hand, it is required to forge long-term and satisfied customer relationships. The successful redesign of sales organisations begins with an intelligent clustering of the existing customer potential. 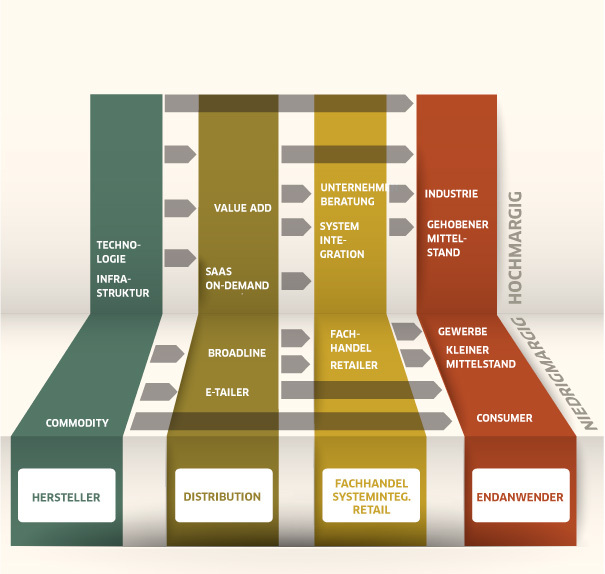 Customer qualification – the segmentation of customers – is either based on a wide variety of factors – such as turnover, revenue, product, service, and the kind and cost of customer care provided – or simply done according to the target investment areas in which the respective company would like to generate future revenues. One of the fundamental objectives of customer qualification is ideally to fully exploit the purchasing power potential of the customer; put more simply: customer development. The customer segments classified as part of the customer qualification process can be divided into the more general categories of key account, development and pool. 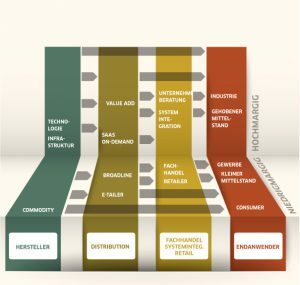 Whereas the key account area is about maintaining the turnover by increasing customer loyalty, the area of development has the clear demand of improving the exploitation of the customer’s purchasing power potential in the future. 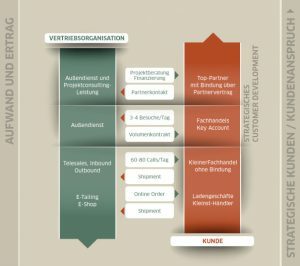 With over 20 years of experience in the operative IT business (distribution and manufacture), RBT:Consulting provides its customers with a high level of expertise in the field of sales mechanisms (B2B und B2C). Who are the target customers and what are their purchasing habits? Are results not significantly better when bypassing distribution? Which type of distribution should be chosen and at what point in time? What kind of channel conflicts can arise from direct sales, distribution, mail-order retail and eTail? 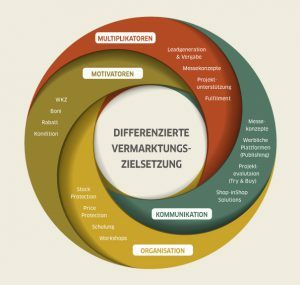 The choice between direct and indirect sales is thus so complex nowadays because sales processes themselves are becoming more and more complicated. Simple “mainstream models” are a thing of the past and nowadays quickly lead to a dead-end. Hybrid cross-selling methods, on the other hand, create a highly competitive situation and provide an excellent opportunity for benchmarking. However, if you do not keep a sharp eye on the laws, opportunities and risks of such complex systems, you may commit significant cardinal sins and prevent the success of your business. RBT:Consulting examines the opportunities and risks of sales systems. The in-depth market expertise and visionary ideas of our advisors are of particular importance here. What’s more, RBT:Consulting helps customers with the necessary networking within the distribution industry. It establishes contacts and supports customers with the implementation of the chosen sales model and the development of valid marketing concepts. Individual partner programmes are an integral part of intelligent business models. They provide a comprehensive and competent representation of a manufacturer or a product at the regional level/within a market segment. And it is precisely here that the success parameters for maintaining a consolidated, long-standing customer base lie. The objective of the partner programme is to create real added value and to vitalise resellers without jeopardising the profit calculation of the company. The RBT:Consulting employees are experienced in the development of operative partner programmes, which have thus far firmly established themselves in the market. It is precisely this practical experience that RBT:Consulting advisors share with their customers. They provide support not only in the planning stage, but also with the marketing and sales development of the programme, and always work with a firm eye on profitability. 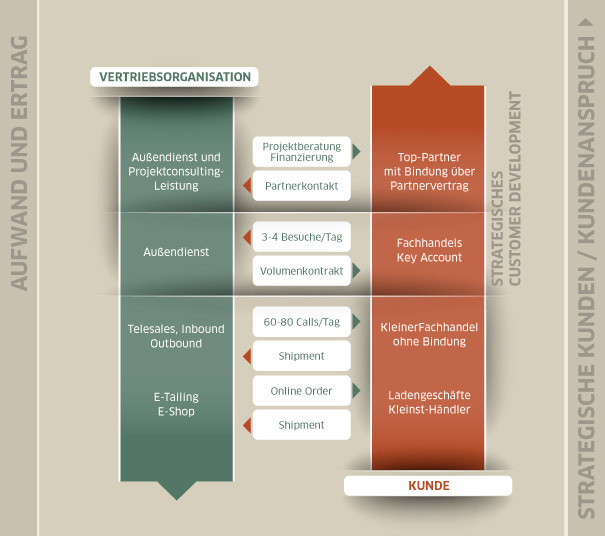 RBT:Consulting develops and implements resilient commission-based models for optimal sales success. Our advisors offer their consummate sales skills and understand exactly how to reflect the requirements of the company in forward-looking benefit systems.